← King Cobra and Your Latin word of the day. Although I am tremendously biased when it comes to pets, I can understand that the average person may be a little less compelled to go to a pet store and purchase a cold-blooded reptile, when there are pets like puppies, kittens, birds and hamsters amiably tumbling along in their cutesy demeanor on the next aisle over. I agree that all of the above can be great pets for the right people and have owned all of them at some point in my life. However, most of the people that know about or see the animals I keep, never seem to reciprocate my sentiment when it comes to snakes. On the contrary, I’ve had some people threaten (emptily for the most part) that they will not step foot in my house if I have “those slimy devils” in there. I am not suggesting that everyone should own a snake. Quite the opposite, I feel that most people should actually do a little more research before buying one. 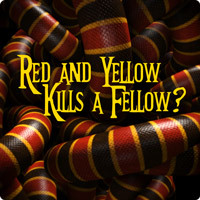 I frequent the local classified ads (http://www.ksl.com/index.php?nid=231&cat=110) on a semi-regular basis, and am appalled by the vast number of Ball Pythons, Corn Snakes and Boa Constrictors available on any given day. The majority of the animals for sale, have been short-term pets that have lost the allure that they once held with their owners. Although we at Snake Buddies are in the business of selling these animals, we feel much better about them going to long-term homes with people that we are confident will give them the attention and care required for them to live long, healthy lives. On more than one occasion, I have actually opted not to sell snakes to people that failed to show any genuine knowledge about the animal they hoped to purchase, or their ability to care for it. Along these lines, I’d like to break my thoughts down for you into two categories. First, I will attempt to address, for the nay-sayers out there, the top ten reasons that snakes make superior pets. And secondly, I will add the top ten things to consider when deciding if a pet snake would be a good addition to your family. These are loose guidelines and subject to debate, but in my experience, will help you come to some important conclusions in choosing an appropriate pet. SnakeBuddies’ Top 10 reasons that snakes RULE!!! Snakes are hypoallergenic. If you can’t tolerate pet dander and fur all over your couches, carpets and clothes, a snake may just be a great option. Snakes only eat (on average) once a week! Statistically speaking, this means that during a single month, you may feed your Siamese cat 60 times, while feeding your snake just 4 times . I’m not great at math, but that seems significant to me. You don’t have to walk your snake. We all enjoy the occasional exercise, but isn’t nice to imagine a quiet stroll through the neighborhood without having a leashed ball of energy pull your arm off, or carrying around the handy plastic bag to pick up poo? You can go on vacation for a full week without any need of hiring a pet sitter for your snake. I don’t suggest trying that with your Macaw. Lots of options to choose from. 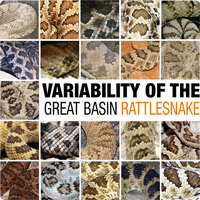 Like dogs and cats, snakes come in many different shapes, sizes and colors. Beauty is in the eye of the beholder and these days, through selective breeding, there are more variations to behold every day. Long or short, fat or skinny, orange or green, bug eaters or mouse eaters etc, etc. Breeding snakes can be fun, educational, and profitable. Until you’ve seen a tiny little head poking curiously out of a soft, white, leathery egg, you haven’t experienced the true joy of snakes. Not only is it pretty easy to get this hobby to pay for itself, but you’ll be minimizing the need for others to take native snakes out of the wild! Snakes are clean! With no more than 5 minutes of simple maintenance per week, you’re snake cage will be clean and odor free. Can you say the same for that litter box? Many snakes are relatively inexpensive. You can easily spend hundreds to thousands of dollars on COMMON breeds of dogs and cats, but many of the snakes available in today’s pet trade can be found for an amount of money likely hiding under your sofa cushions. It is not uncommon to see beautifully patterned Corn Snakes or King Snakes for sale for around $20! Plus you’ll save hundreds of dollars more in vet and grooming bills every year. Snakes can be trained to talk, fetch the paper, make breakfast and to do yard work. OK, so I admit I might have stretched the truth a tiny bit with this one, but to be fair, a pet is just that… a pet. Above all, the purpose for a pet, is to bring you enjoyment. Nowhere does it say that you have to cuddle, walk or sleep with your pet. All that is required, is that you care for and get some sense of appreciation for the animals you keep, and I dare say that a person is no less capable of attaining those goals with a snake than they are with a fuzzy bunny. SnakeBuddies’ Top Ten things to consider before buying a snake. Most snakes eat mice or rats. Are you going to run to the pet store every week, breed your own mice, or keep mouse-cicles in your freezer? Breeding mice is a smelly business, and putting mice in your freezer may not be an option if you wish to preserve the relationships you have with others in your house. Please consider these variable BEFORE you buy a snake. Do you know what your snake needs? Though snakes are relatively simple to keep, they do have specific husbandry requirements to stay happy and healthy. Do your research! Make sure you know what size cage your pet will need, what type of bedding, how warm the cage should be, what type of hiding place you snake will need etc. Buy the RIGHT snake for YOU! Pet stores offer lots of varieties of snakes, but most will be babies or juveniles. Did you know that the beautiful little Burmese Python you have your eye on may end up being 15 feet long in just a few short years and will need full-grown rabbits to eat, as well as a cage the size of the average kid’s bedroom? PLEASE do your research and find a snake that will be compatible with your ability and desire to properly care for it. Snakes are not prank material! I literally cringe when I hear about or see some kid or immature adult chasing a fearful victim with a snake. Lots of folks are petrified of these critters, and this behavior further perpetuates and solidifies these fears and phobias while putting the snake in danger as well. Many snakes are quite fragile. If you are looking for a pet to wrestle with on the lawn, a Great Dane may be a better choice for you. It is very important to understand that when you introduce your slithery pet to others, they may not be as comfortable around snakes or as experienced with them as you are. A fearful person may drop your animal, or a youngster may squeeze or attempt to pull your serpent apart. You should closely monitor and supervise the interactions between your pet and others to prevent harm to your pet or to an inexperienced snake handler. Pet snakes should be handled regularly. Most snakes really don’t care to be held, but if you are hoping to have a snake that will tolerate handling by you and others, you must consistently work with your animal. Getting them used to handling will ultimately result in a safer experience for both parties. Not all snakes make good pets! Venomous snakes and “large” constrictors are the obvious ones here. Few people are experiences or capable enough to have such animals in their homes. However, there are other snakes that make poor choices as pets also. Many snakes are very active and do poorly in a confinement. Some are very cryptic and will constantly stay out of view, while others are simply very picky eaters making them unfavorable captives. If considering a pet snake, do some research and ask reputable snake “experts” what your best options are. Some snakes may bite. Though most snakes tame down quite well with regular handling, there is the occasional specimen that is overly nervous or simply has a very strong feeding response. 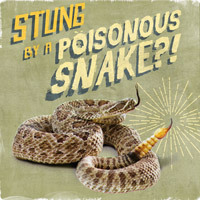 In most cases, a bite from a snake will cause a scratch that can be cleaned with soap and water, but the psychological effect to an unassuming guest may be more traumatic. If possible, see if you can see and hold the snake in person prior to purchase and attempt to buy one that is already used to handling. Snakes can get sick. Illness effects pets as much as it does humans. It is a good idea to find a vet that will treat a snake before you purchase one. You should also familiarize yourself with typical snake illnesses, the symptoms to look for, and what you can do to help treat them. Buy a captive bred and born snake! As fun as it might be to keep a snake that you caught yourself while camping in the mountains, you are much better off by purchasing a snake that was born in captivity. Wild snakes will not be used to handling and may be more flighty and bitey. Many types of snake may also carry parasites making them more prone to disease and infection. Additionally, the snake you caught will either be available through local or on-line pet stores. If the snake you caught is not available, it is likely because the snake you caught is either protected or because that species does not make a good pet. Lastly, purchasing a snake means that you won’t be harvesting another critter from the wild which always has an impact, no matter how small, on our ecosystem. Pets are as diverse as their owners. We need to embrace these differences and respect the preferences of pet keeping in others, so long as the animals being kept are receiving the proper attention, care and conditions necessary for that animal, and it is done so legally. At the end of the day, it doesn’t matter if you keep a goldfish, box turtles, tarantulas, snakes or puppies as a pet, as long as the animal’s well-being is the top priority. I encourage everyone to be an advocate for the animals they are passionate about, and to share their enthusiasm and knowledge of these animals with others. This entry was posted in non-venomous, pet snakes, pets, Snakes. Bookmark the permalink. 11 Responses to Is a pet snake right for you? Great article, I’m going to Tweet it! Thanks TRN! That’s very kind. What would you consider a good pet snake for someone who has never had a snake before and the size limit was 1 foot? Please refer to another article I wrote, “The Best Pet Snake for a Beginner”. Your size limitation of 12 inches, will definitely prove difficult in finding an adequate pet. There simply are not many snakes in that size range that make good pets. If you really want a snake as a pet, and want to have a positive experience with it, I would recommend getting one that will grow to 2 1/2 to 3 feet. That will put a couple of the snakes on my list, in range for you. Great articles on snakes. I have been reading your posts with my 8-year old son who is interested in getting a snake. We have been doing lots of research online. He is interested in a ball python, but after all of the reading I have done, I think he should go with a corn or hognose snake. We also went to 2 pet stores last week. The first suggested he consider a bearded dragon instead of a snake because of their personalities and interaction with people. The second suggested a ball python and let him hold one. At this point, he is continuing to do research but is very confused as to what to get. Do you have any suggestions? I just want him to make an educated decision. That’s great, Jessica. Ultimately, it has a lot to do with what your son likes best. Bearded Dragons are great, but I wouldn’t let someone else’s opinion of what he will like best, sway your decision. Beardies are cool, but they are a lot higher maintenance than a snake also. Your research will pay off, and getting him out to see the different animals and options will help him with his decision. It sounds like you’re doing everything right. Keep it up! Thanks for the article. I’m am in the research of snake ownership and coming across your article was very thought invoking. I will pass it along to my wife, who has a reluctance to my pet choice. Should she feel ok, I’ll definitely own my 1st snake. My son has been wanting to get a snake as a pet for years now. I had no idea that you only need to spend about 5 minutes per week to have it odor free. I will have to consider it more for my son.